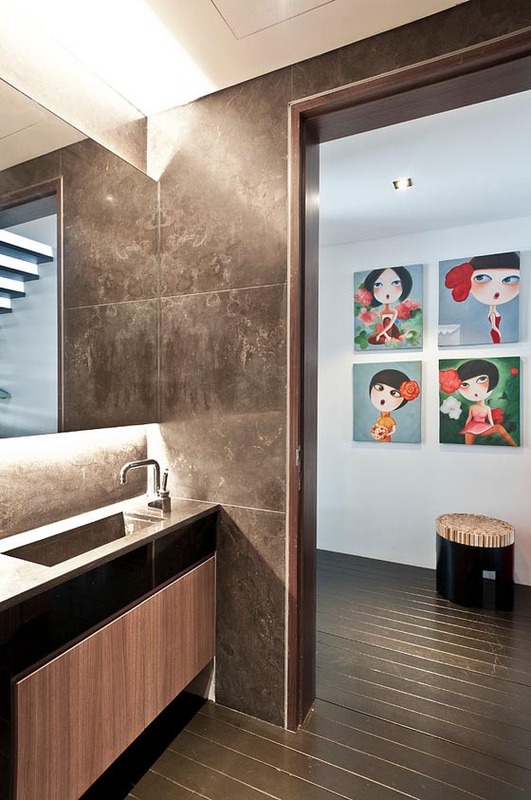 This beautiful modern house situated in Singapore is designed by Architology. 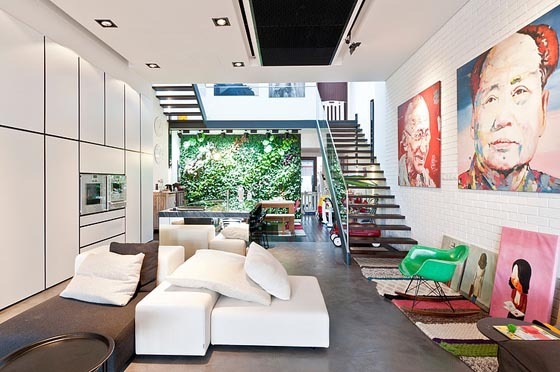 The first thing coming into your impression of this place might be the huge portrait painting on the living room wall. The watercolor painting of famous people is quite unique choice of wall decoration. 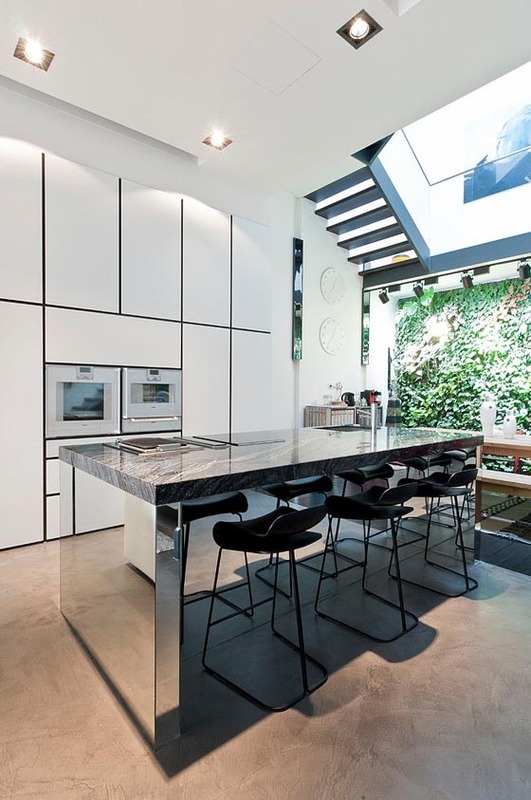 A living wall (vertical garden) is located in the kitchen area. 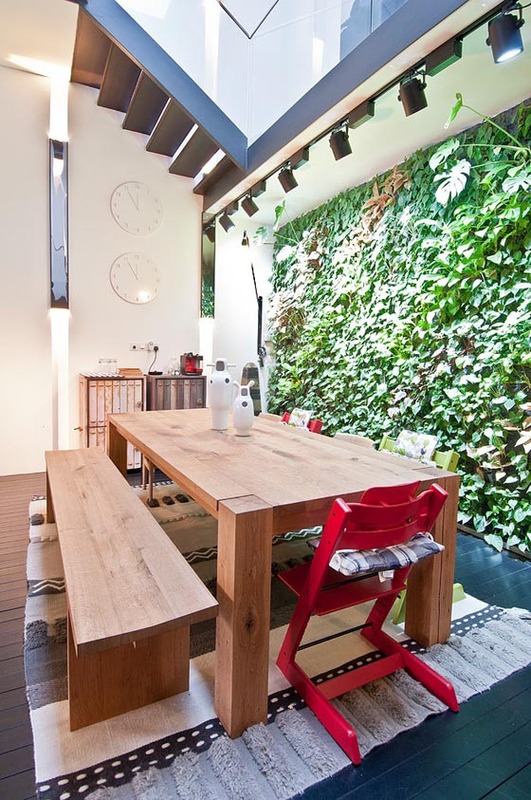 The dinning set is made of purely wood, harmoniously matching the living wall on the side and create a comfortable natural dinning environment. 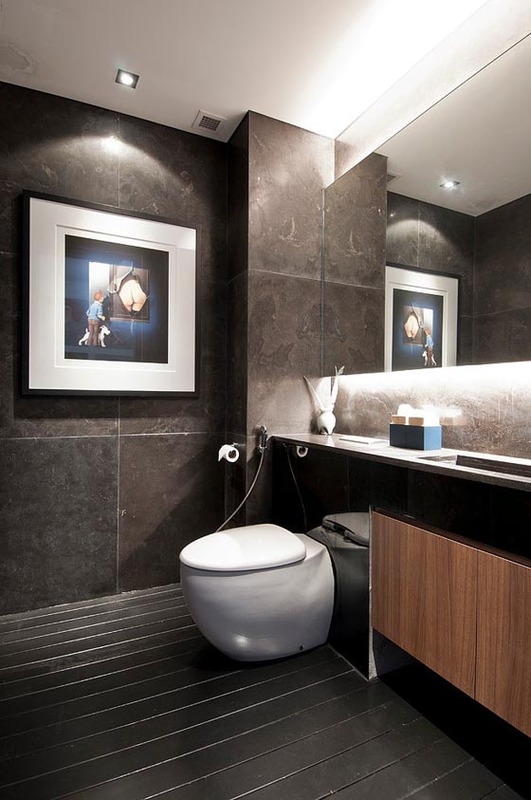 Another unusual of this place is a transparent bathroom in the middle of the bathroom. Not sure how many people wil like this type of design, but it is quite special.